Italian sunshine in the centre of Amsterdam at Trattoria Fantasia! The warm and stylish interior is a perfect setting for a nice dinner. You can find the best combination of food, full of surprising flavors. And the good news is, you don’t need to go to Italy! Prepare yourself for an unforgettable culinary experience in a trendy ambiance. Service miserable not to mention one smelly waiter, which I think had been working hard. Appetizers (bruschetta and insalata caprese) fine. Pasta with pesto mediocre. Pesto might have been homemade. Pasta was not. Veal with mushrooms and gorgonzola sauce inedible - veal could not be cut and sauce was clearly brought in. Waste of money. Would not return. Enjoyable evening in a good peasant restaurant! Base of the pizza tasted like it was pre-made ???? A quiet evening so the service and quality was excellent. Friendly staff. Service was a bit slow. Our waiter was very friendly and patient, he recommended a nice wine with our food. The food was very nice and quickly served. The only thing is that I prefer my tiramisu more creamy than Fantasia's but that is personal. 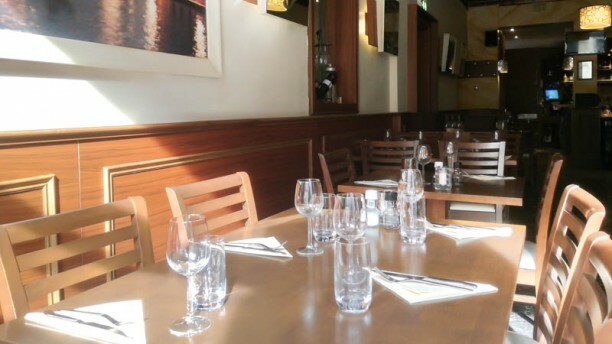 Nice authentic Italian restaurant with a lot of choices on the menu. Near to the Theatre. Good value for money. Will come back! The restaurant has a nice and warm atmosphere. It's modern Italian style and you also feel that from the service. What I really liked was that it was not that noisy in the restaurant and that. It was not very big so the atmosphere was also very intimate.